“I am excited to share with Yankee Dental attendees our latest knowledge in the field of marketing and the business of dentistry,” said Amol Nirgudkar, CEO of Dentist Profit Systems. “As I travel the country, I hear the pain of great dentists who want to make their greatness count, and New England is no different. Here, dentists want to build great dental practices and enjoy an even greater quality of life. In order to accomplish these goals, they must rely on making sound business decisions and adopt a marketing strategy that works to attract higher value fee-for-service clients in the midst of intense competition and an era of service commoditization. “We brought our booth to Boston because we are entrepreneurs, like dentists, and the need of the hour is intelligent entrepreneurship through effective decision-making. Success in business does not simply mean doing one thing right, rather, it means undertaking a whole slew of intelligent decisions that change your course for the better. In Saturday’s presentation, Amol Nirgudkar will be focusing on 5 business and marketing topics. 1: Your WHY is key to transitioning your practice from one that is GOOD to one that is so GREAT it stands out in your community and fosters a loyal patient tribe. What strategies are you using to showcase your WHY? 2: Knowledge about the business decisions (including tax considerations) that you have to make as you build your business will keep you from making costly mistakes. Do you know which business mistakes dentists commonly make? 3: There are new strategic directions successful dentists are taking to ensure business profitability, practice growth, and personal peace of mind. Do you know what grown strategies are working best? 4: What an accountable dental practice marketing system looks like in 2015 is different than a year ago. Do you know what you should expect from your marketing team in 2015? 5. Case studies in opening new markets from Starbucks, Apple, Procter & Gamble, Walgreens, Southwest Airlines and others can inspire dentists to adopt winning techniques. Which winning techniques will you take back to your practice to expand your market? 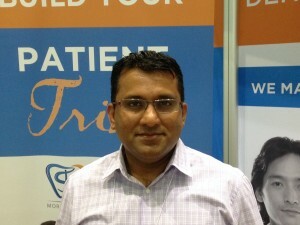 If you aren’t at Yankee Dental, reach out and Amol will be happy to chat with you about improving your marketing and growth strategies.